This sermon, “Resilience,” was originally delivered to the congregation of Harmony, a Unitarian Universalist Community, on December 3, 2017. It is published here with permission from the writer, with all rights reserved. I’d like you to imagine a situation. As a child, you are playing on a soccer team. It’s the last game of the season, and you’ve been working hard to improve your game. The score is tied 2-2. You receive the ball and start to kick it down the field. You are getting ready to score your first goal of the game, when you kick the ball a little too far ahead of you and an opponent gets control of the ball. They race down the field and score on your team. The coach calls a timeout, and pulls you out of the game. He sends in a new sub, but not before screaming at you, “What were you thinking? How could you lose control of the ball? That was the easiest shot you could have had, and you blew it! You’re an embarrassment to this team! Sit out for the rest of the game!” You sit down, head lowered with hot tears streaming down your face. I want you to imagine the emotion you would be feeling in this situation. Some people would get angry; some would be embarrassed. Some would feel guilty, or sad, or upset. The same situation produces different reactions in different people. Our topic today, resilience, is not about what happens to us. It not about the number of adversities we experience in our lifetime. It’s not about the number of times we’ve had a coach (or boss) yelling in our face. The number of hardships is not what determines resilience, but how we respond to them. And how we respond to situations is all based on our mindset, our deeply-held beliefs, and our perception of reality. 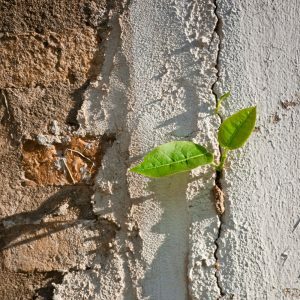 So what is resilience? Resilience is usually thought of as the ability to “bounce back” after a tough situation, being able to persevere and come out on top. It’s being able to recover quickly from difficulties. If you are in education like me, you will know that the educational buzzwords for resilience are having “grit” and having a “growth mindset.” What this usually means is slapping up some motivational posters and never talking about them with students. A quick search on Pinterest will yield thousands of results for this purpose. But without discussing ways to deal with adversity, kids (and adults) default to the way they perceive situations, and their perceptions and beliefs could be exactly what is holding them back. I feel like a bit of a fraud, standing up here and talking to you about this. I picked out the topic months and months ago, after a particularly interesting PD session at school. And then I had a miscarriage in October, and I still haven’t bounced back. I put off writing this because I truly felt like a hypocrite trying to preach resilience when I have not recovered from this, when I leave school some days and spend my 40 minute drive home crying. But I am granting myself some grace and hoping that these words can resonate with you. Many people believe that the situations that befall you determine your future, that you can be doomed by circumstances out of your control. A study by Emmy Werner and Ruth Smith followed all the children born on the island of Kauai, Hawaii, in 1955 in a longitudinal study that measured the children through childhood, adolescence, and adulthood until age 40. Of the children born, 30% were “high-risk”—this means they were born in poverty, some with perinatal complications, to parents who had a grade-school education and may have suffered from their own mental illnesses or marital discord. Of these children, two-thirds developed learning or behavior problems by age 10 and had by age 18, delinquency records and/or mental health problems. However, one third of these children grew into competent and confident adults who had succeeded. They did not develop behavior or learning problems as children and as adults, none were unemployed, none had been in trouble with the law, and none relied on social services. They had done just as well, if not better, than their peers raised in stable households with wealthier incomes. The test will calculate your score in each of these seven categories. I’ve shared some qualities of resilient people, but now I want to talk about how you can improve your resilience. It starts with understanding your mindset. Many of us see the events that happen to us as the cause of our reactions. 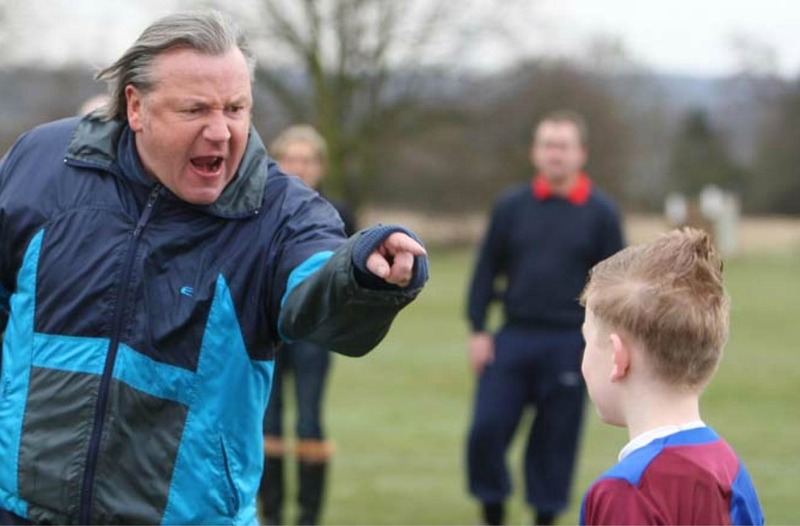 Think back to the soccer game incident: we may say that the coach’s yelling made us feel angry, or guilty. But it is actually our interpretation of the events that caused the emotions and the behaviors that follow. Our beliefs in the moment we are dealing with an adversity will determine how we react. The beliefs that run through our head in the moment, usually fall into two categories: the why and the what next. Why did this happen? and What’s going to happen next? These beliefs will trigger an emotional response from us, and there are connections that can be made between our beliefs and our emotions. If an event makes you feel angry, annoyed, irritable, outraged, or furious, this is brought on by the belief that someone has intentionally violated your rights. We usually see another person as causing the harm (although it can be applied to inanimate objects) and believe that the person’s behavior was under their control. If your beliefs focus mostly on asking “Why did this happen?” and you blame external causes, you will likely experience a lot of anger in your life. If you believe that you have lost something, real or intangible, you will likely experience sadness and depression. If you believe you have violated another person’s rights, you will feel guilty. Not surprisingly, guilt is the most common negative emotion felt throughout the day. Guilt can be felt because of a breach in self-regulation, like not following a diet or exercise regimen, or a breach in commitment. If you believe there is a future threat, this leads to anxiety. If your beliefs focus mostly on asking “What will happen next?”, then you will likely experience a lot of anxiety in your life. Knowing this information will help you to connect the dots between adversities you face, your beliefs, and your emotional reactions. Is there a pattern to your emotions? 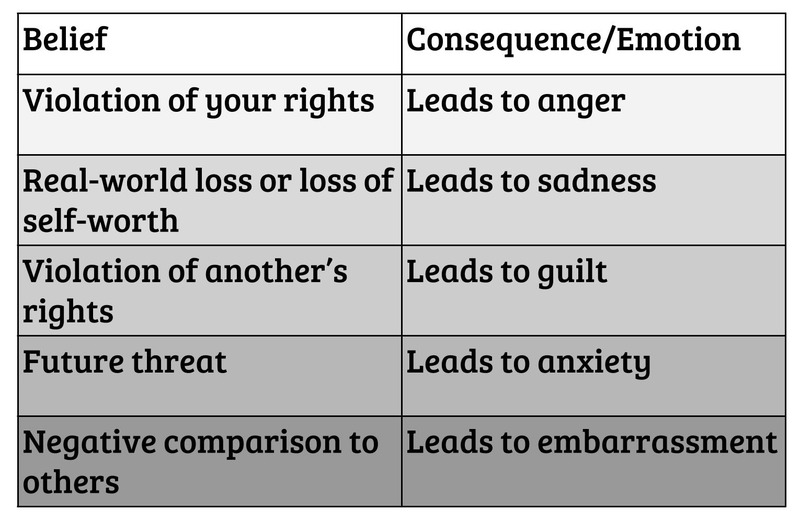 Is there a negative emotion that dominates your feelings? Test the logic of your beliefs. You will be able to identify why you react in the way that you did. Back to the soccer game: if you felt angry, you understand that it is because you felt the coach was violating your rights. If you felt guilty, you understand that it is because you felt like you let your teammates down. Knowing the beliefs that led to your emotion can help you to identify these beliefs, and change your thinking to lead to a better outcome. Tunnel vision: Tunnel vision only focuses on the negative aspects of the environment, and ignore the positive. This is usually self-fulfilling, where people look for aspects that fulfill what they already believe. Magnifying and minimizing: Magnification is when you exaggerate the importance of your errors, fears, and imperfections. Minimization, on the other hand, is when you downplay your good points or other people’s desirable qualities. Personalize: Personalization occurs when you assume responsibility for an external event over which you have no control. Externalize: Externalization occurs when someone determines that problems are always the result of an external factor, and they are rarely to blame. Overgeneralizing: Overgeneralization is when you arbitrarily conclude a single negative event is a never-ending pattern of defeat. Using universals like “always”, “every” and “never” are common when overgeneralizing. Mind reading: Mind-reading is when you assume what others are thinking and feeling about you without having any concrete evidence to suggest so. Emotional reasoning: Emotional reasoning is taking our emotions as evidence for the truth. Remember that your feelings are a result of your thoughts, so they can be distorted based on your beliefs. It is important to identify when we are falling into one of these thinking traps, as they will leave us feeling drained and hopeless. Maybe you hold some of these beliefs. 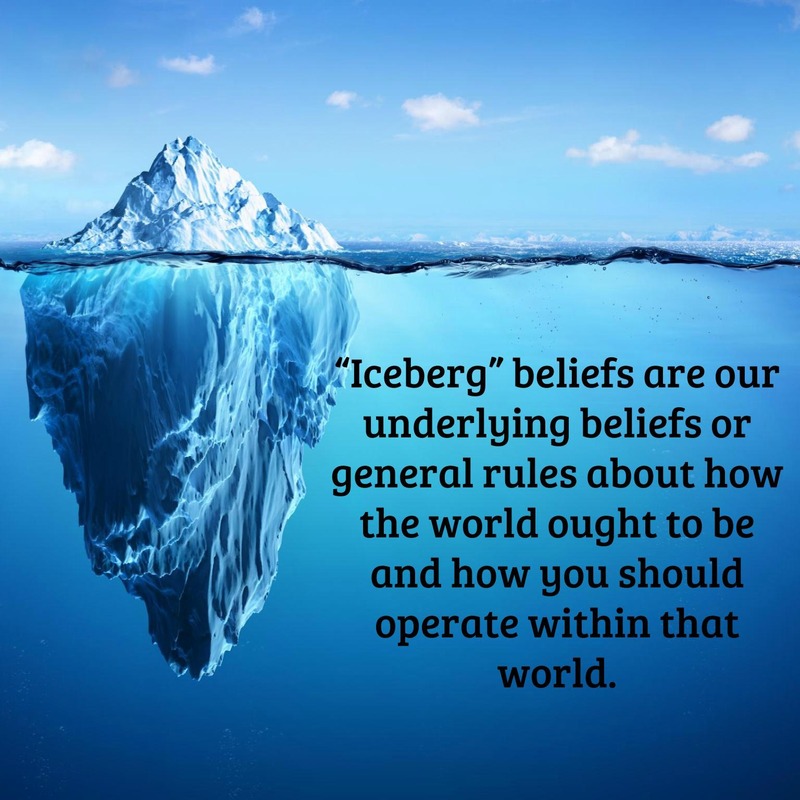 Maybe you can identify some of your own iceberg beliefs. These beliefs usually come from our childhood and the values that were instilled in us as children. In navigating this crazy thing called parenting with my husband, I have come to realize some of his iceberg beliefs that come from his parents. One is that “being polite is a sign of good character.” I see this belief in him modeling, “please” and “thank you” with Kellan and insisting on it every time. These strongly held beliefs be can problematic because they can lead to disconnects between events and emotions (such as yelling at your partner over something trivial, like leaving a dish in the sink), they can make it hard to make decisions (because of clashing beliefs), and they can cause you to overexperience emotions or get “stuck” in a particular emotion. It’s not the dish in the sink that made you angry, but a deeper belief, maybe that “partners in a marriage should do equal housework.” This is the cause of the anger, not that they forgot to wash a dish. You can explain things as being “always” or “not always.” If you remember the thinking trap of overgeneralizing, this is it. Maybe your daughter thinks about her failed test: “I failed my math test. I don’t have what it takes to do well in math.” She is explaining her adversity as always—that she will always score poorly on her math tests. You can also explain events as pertaining to “everything” or “not everything.” An everything thought that has crossed my mind before is this: “Kellan won’t eat vegetables unless they’re in a pouch with fruit. I am a terrible mother.” Obviously, Kellan’s eating habits do not apply to every aspect of my parenting, but sometimes we fall into this thinking trap. Maybe your daughter thinks, “I failed my math test. I am dumb and can’t succeed at school.” You can see how easily it spreads to other parts of your life. People who have a me/always/everything explanatory style for every situation are at higher risk for depression and tend to feel helpless and hopeless. People who have a not me/not always/not everything explanatory style for every situation tend to be more positive, but they always make great sales people. They never take rejection personally and are never to blame. 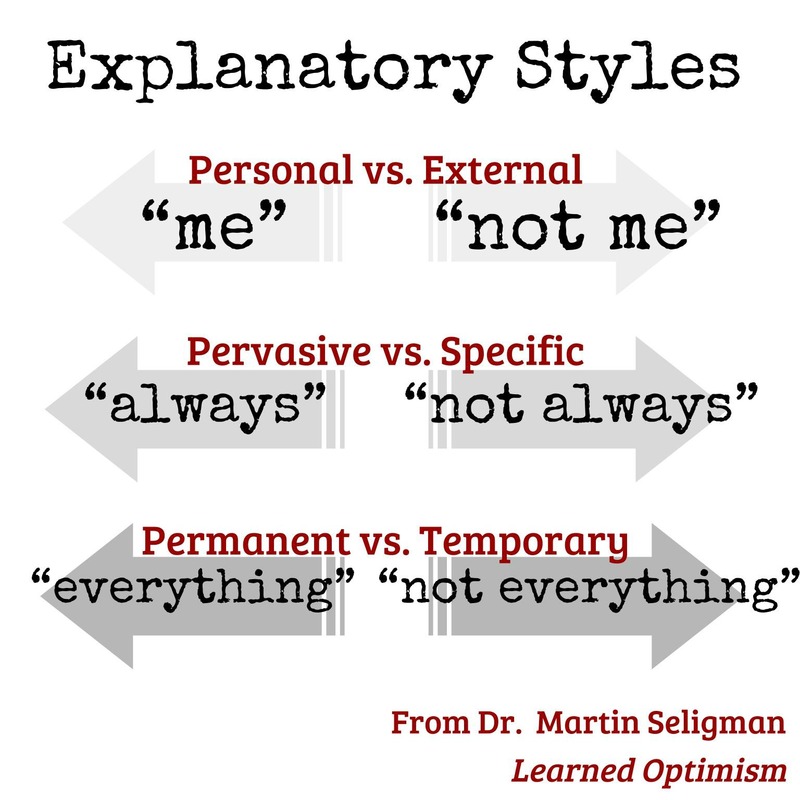 It is best to be flexible and realistic in your explanatory styles. Let me leave you with some tips for improving your resilience, now that you have a better understanding of the mindsets that can drain it. First, work to change your beliefs. Look for alternatives. Ask yourself: is there a more accurate way of seeing this? Look for evidence to disprove your thinking. Tell yourself: I know this is not true because of this evidence. Next, put things in perspective. This is especially helpful if you find yourself experiencing anxiety. Let yourself imagine the worst case scenario. Then the best case scenario. Now ask yourself: what is a more likely outcome? Another strategy is to take part in calming and focusing activities—whatever works for you: controlled breathing, exercise, meditation, a mental game like counting by 7s or rhyming to focus your mind on a different task.  Explore more ideas and lessons in resilience from this post by Harmony UU member Jen Gillum. Alexx Cook is a member of Harmony UU.